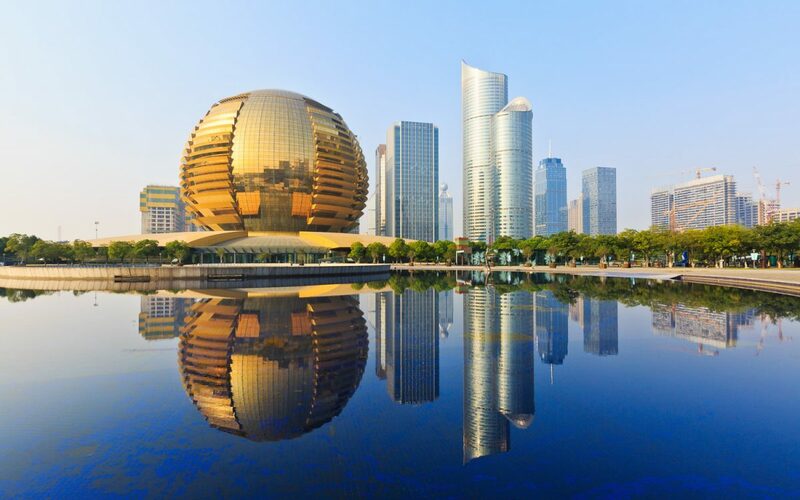 Hangzhou, capital of East China’s Zhejiang province, is taking major steps to seal its status as a leading city for the digital economy, with local government laying out a specific action plan towards that goal on March 1. The plan, which focuses on the integration of industrialization of digital resources, digitalization of industries, urban digitalization, highlights a total of eight measures. According to the plan, Hangzhou this year is slated to introduce 50 major industrial projects on digital economy and more than 1,000 hi-tech companies in key areas, with artificial intelligence and the application of 5G technologies being one of the major concerns, said Zhou Jiangyong, Party chief of the capital. Additionally, the city will further advance the digitalization of manufacturing industries, support 25 scientific and technological innovation projects, promote talent introduction, build 20 industrial zones featuring the digital economy, and expand the application of the “City Brain”, an intelligent system for urban management. Home to Chinese internet juggernauts such as Alibaba and NetEase, Hangzhou in recent years has grown from a tourism-oriented city to an emerging city with a strong digital economy. In 2018, the main business income of the core industries of the city’s digital economy exceeded 1 trillion yuan ($149.31 billion), with an added value hitting 335.6 billion yuan, up 15 percent year on year and representing 24.8 percent of the city’s GDP. However, despite the soaring performance, Hangzhou’s digital economy isn’t solid grounded since other heavyweights in the digital economy aren’t nurtured by nor headquartered in Hangzhou, such as the news app Toutiao, Chinese leading online lifestyle platform Meituan, China’s largest ride-hailing platform Didi Chuxing and e-commerce site Pingduoduo. The development of the digital economy depends not only in the economic sector, but also in the underpinning role of the digital resources on the overall development of the city, said Zhou. According to Zhou, Hangzhou will strive to fulfill the mission by taking the lead in economic aggregate, digital technology innovation, digital facilities, and digitalized urban management.